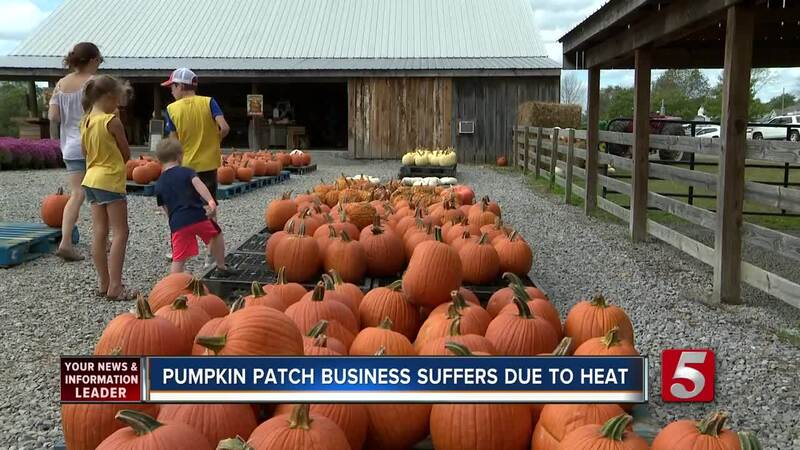 The pumpkin patch business is off to a slow start this season because of the weather. Honeysuckle Hill Farm owner Jeff Alsup said people don't want to be in the heat while picking pumpkins. Alsup said, "The whole industry, all my buddies, we're all down right now." Alsup said they had to close some days because of the rain too. Alsup said, "Rain is a four letter word. We cannot open in the rain. We're running hayrides, pumpkin trains, cow trains, when it gets muddy all those have to shut down." 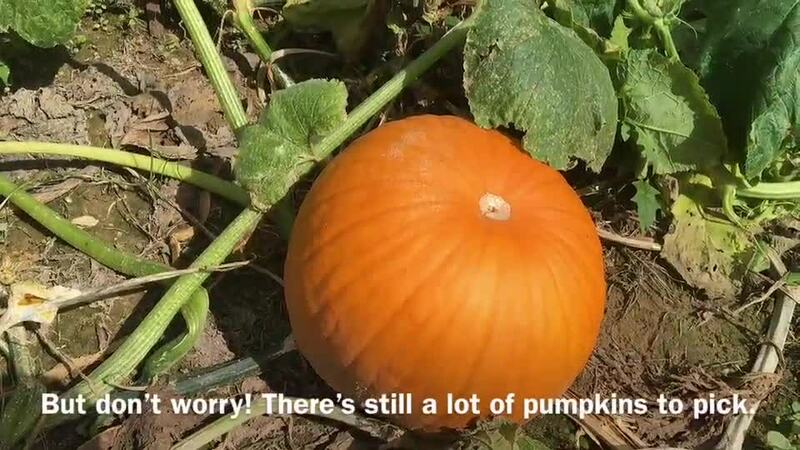 As far as pumpkins go, they've got plenty of them! Alsup said, "If a big 16-year-old brother wants to carry two on his shoulders, we got the gladiators for him." There are little pumpkins as well for people who want to make pumpkin pie. Once you take your pumpkin home, Alsup recommends putting it in a cool and dry place. If you're not the pumpkin pickin' type, they also have a corn maze. It features country music star Dean Dillon. They're open every day through Fall Break except Monday.